Citing a shortage of adjudicators, Ontario’s Landlord and Tenant Board is warning those seeking dispute resolution that they may experience longer-than-usual delays. 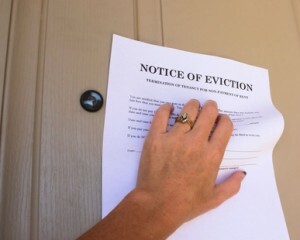 Based on reported decisions over the past two months alone, including a tenant who was ordered to stop verbally abusing the landlord, it is likely that many of those pending claims are brought by landlords seeking an order to evict tenants for unpaid rent and property damage. Landlords in every province face eviction delays whether from backlog or tenants who know how to manipulate the system through continuances and appeals. After waiting it out, a landlord still has to prove the case to the satisfaction of an adjudicator. Those who ultimately win a monetary award may not be able to collect the money owed. But the fact remains that a landlord loses money every day that a property is not generating rent, and every time a tenant causes damage. Landlords simply cannot rely on the dispute resolution system to save them from income loss. There are two components to tenant screening. First, the applicant must be credit-worthy. The person has sufficient income to pay rent, and that income is verifiable. In addition, the person has a history of being financially responsible — routinely pays bills on time. To confirm credit-worthiness, the landlord must verify the source of income and run a tenant credit check. The second and equally important pillar of tenant screening is tenant-worthiness. Is it likely the person will follow the tenancy agreement, care for the property, and get along with others? Previous landlord references can reveal a history of criminal activity, prior evictions, disturbances, complaints, unpaid rent, or property damage. Screening for both components is crucial to minimize income loss and can help landlords avoid long delays while waiting for dispute resolution. A written tenancy agreement is a necessity when it comes to minimizing income loss. Still, many landlords fail to obtain a lease, or use a form that has not been reviewed by an attorney. For those landlords, it is important to understand the practical value of the tenancy agreement is in educating tenants on what is expected and avoiding tenancy problems, not in proving a case in dispute resolution. For that reason, landlords should review the tenancy agreement provisions in person with each tenant prior to having the tenant sign the agreement. A tenant orientation is another effective tool in minimizing property damage and reducing tenant complaints. Explaining the proper use of appliances, safety features, how to care for the property, use of common areas, and other house rules in person can keep the tenancy running smoothly. Finding ways of reminding the tenant that the property is being managed reduces the risk of late rent payments and property damage. Tenants thrive on structure and like to know that someone else is in charge. In their minds, their money goes as much to service as it does the roof over their heads. Sending back a rent receipt each month, a quarterly newsletter, routine inspections to eliminate annoying little maintenance issues, and returning calls quickly keep rent payments on track and damage to a minimum. Omissions, like failing to deposit rent cheques promptly, can cause a disconnect that leads to late rent, lease-breaking, and income loss. Doing background checks can save you thousands in the long run.